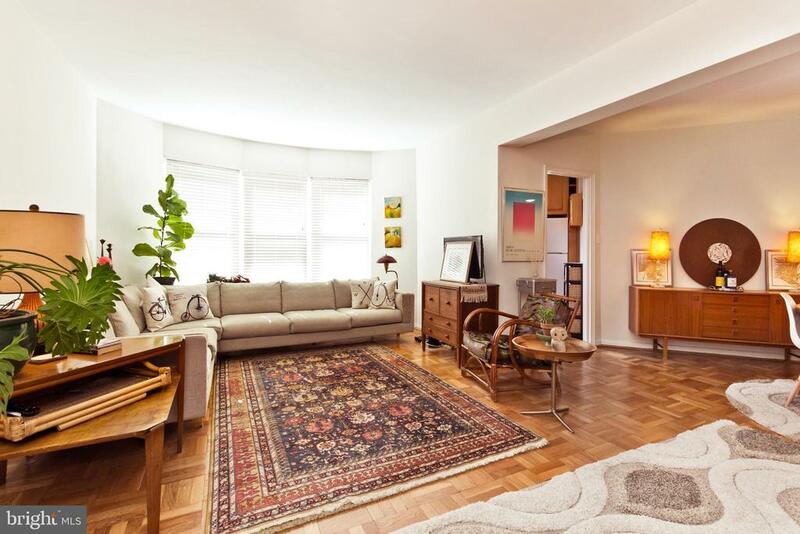 Sunny, spacious and stunning -- t his gorgeous condo checks all of the boxes! Top floor, huge, and light filled with views of the Washington Monument, FHA Approved and a Walk Score of 91! Largest 1 bedroom floor plan in the building. Entry foyer leads to dramatic living room with windows overlooking green space and an amazing city skyline. Updated kitchen, large dining area, gleaming wood floors, large corner bedroom, den/library, closet space galore and garage parking. Mid-Century Modern meets Boho Chic! Condo fee includes gas, water and electric! Over 1,000 square feet and one of Washington, DCs "Best Addresses,~ Gateway Georgetown is an easy walk to Metro, shopping, nightlife, parks and museums in both Georgetown and Dupont Circle. Convenient to downtown and approximately 5 miles to Amazon~s National Landing site in Arlington! The building offers a 24 hour front desk, elevators, and a spacious roof deck for relaxing and taking in the city views! Cats and birds, and service animals OK. Easy access to Metro and on the D1, D2 and D6 and G2 Bus lines! Share this! Send DCDC403950 to a friend/agent: From: To: Comments Spam quiz: What is ?